Greenpeace and other environmental advocacy groups working on the international Break Free from Plastic campaign looked for branding on 10,000 litres of food wrappers, plastic bottles, plastic-lined coffee cups and other trash collected in Vancouver, Toronto, Montreal and Halifax during World Cleanup Day on Sept. 15 and counted the results as part of their first Canadian plastic polluters brand audit. 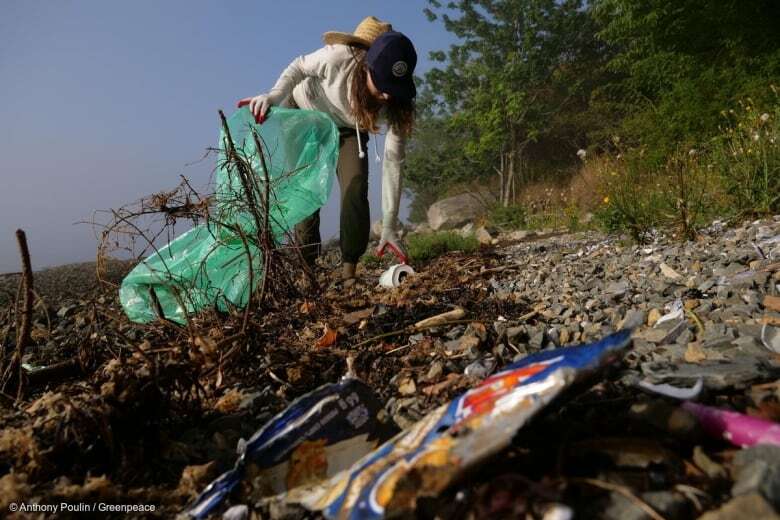 Sarah King, head of Greenpeace Canada's oceans and plastics campaign, said its first brand audit was in the Philippines last year because the group found that cleanups could only do so much. "You do a cleanup one day, and the next day the beach is filling up with plastic again," she said. 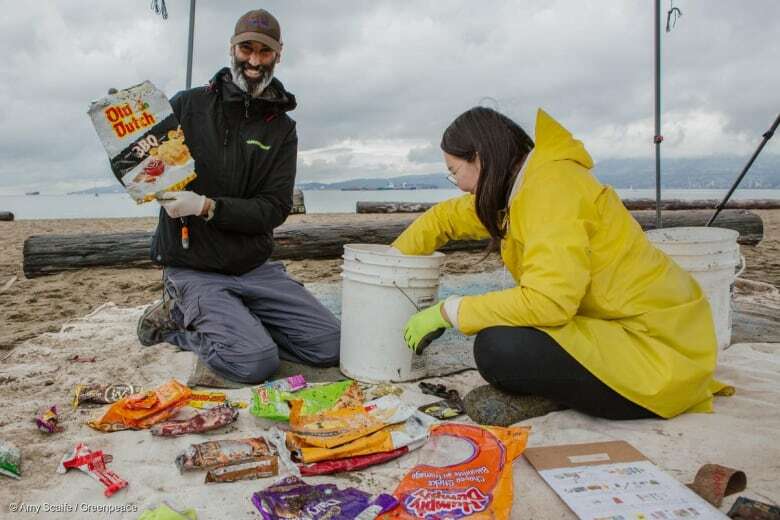 "We really wanted to look at the companies that were responsible for the bulk of this trash that we were finding on the beaches." Of that, 2,231 pieces had identifiable branding, and 700 other pieces had branding that couldn't be identified. Nestlé suggested in an email that the real problem was improper disposal, saying the results "demonstrate a clear and pressing need for the development of proper infrastructure to manage waste effectively around the world." 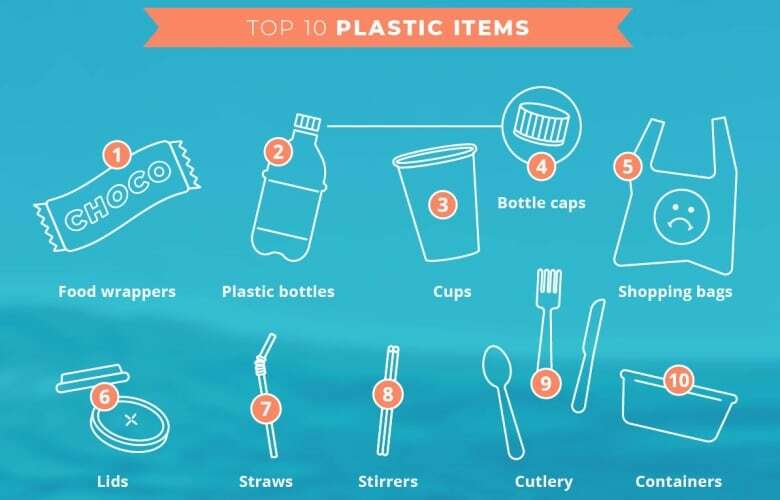 It added that the company's goal is to make 100 per cent of its packaging reusable or recyclable by 2025, and it is also exploring packaging solutions with its industry partners to reduce plastic usage and develop new approaches to eliminating plastic waste. 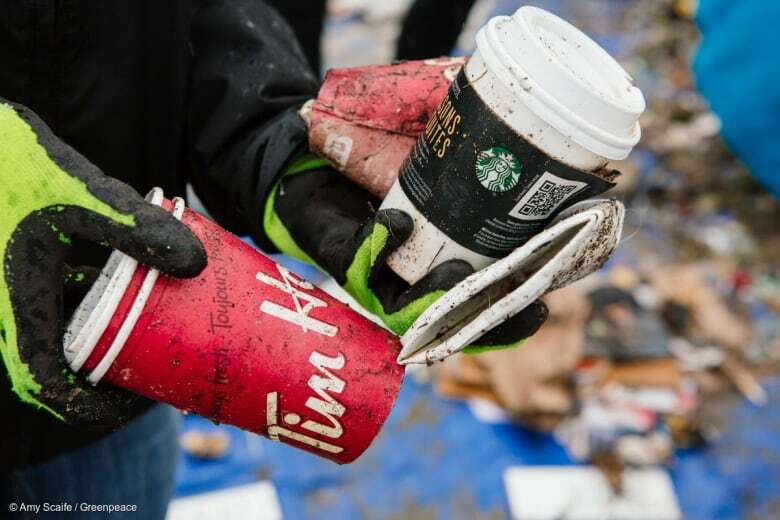 Based on the Canadian results, she added, it didn't seem that easily recyclable items, like plastic bottles, were less common than ones that are more difficult to recycle, like coffee cups or food wrappers. 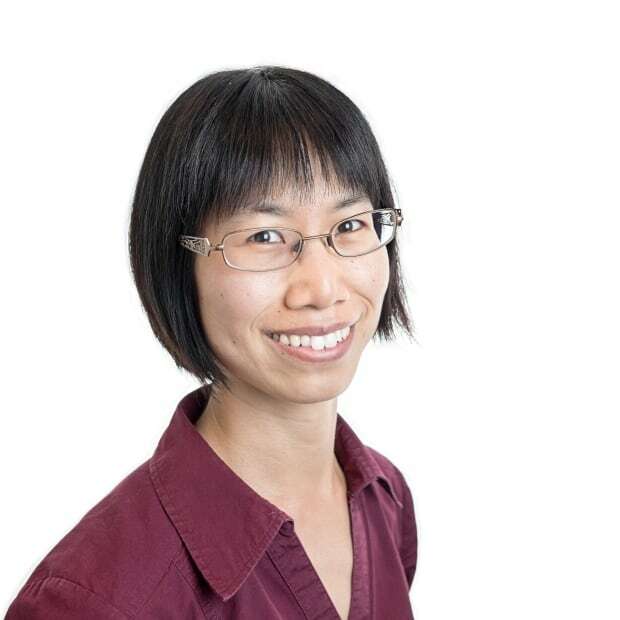 She hopes the findings of the audit will have an impact on the companies that were responsible, and get them to recognize that simply making single-use plastics recyclable isn't the solution. "We really want the companies to recognize, 'Look the efforts that you've made or that you're stating that you're making aren't good enough.' You actually have to reduce your production of these products if want to be sure that they're not going to be ending up in their environment, in our oceans and polluting communities." King firmly believes that it's the companies that make the products that should be responsible, not the consumer. "We aren't given a lot of options for buying food and household products in plastic-free packaging," she said. 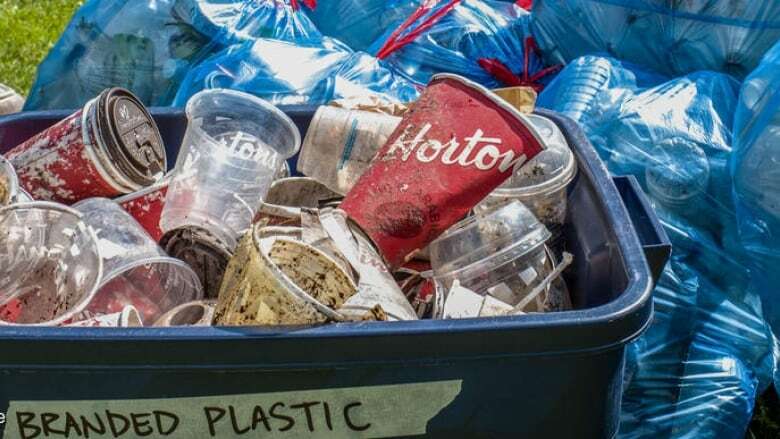 Dirk Matten, a professor who holds the Hewlett-Packard Chair in Corporate Social Responsibility at York University's Schulich School of Business, said he thinks Greenpeace's audit is a "very skillful and effective" way to address plastic pollution. "These companies actually use plastic that contributes to this massive problem to deliver their products and, I think by this, are forced to think about a more environmental friendly way of doing this," he said. He added that Greenpeace's report could influence organizations like governments and universities in their purchasing decisions. "To the corporations, I would say don't fight it," he said. "Collaborate, address this constructively." He added that Greenpeace is an international organization with a lot of experience that could be used as a resource in finding solutions. An earlier version of this story said that Nestlé sold Chips Ahoy cookies. In fact, Chips Ahoy is not a Nestlé brand.